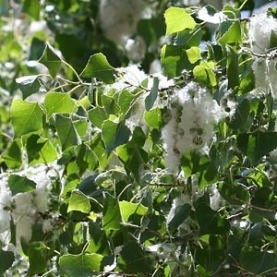 Stillpoint's Cottonwood bud flower essence holds the energetic imprint of the bud of the cottonwood tree. These buds were harvested by hand with great care and intention. This particular flower essence is a passage essence. It brings one deep into the emotional body and into the light. This tree is known as the Tree of Life and the Spiritual Warrior. Removal of imprints, false programs - "to unlearn all limiting beliefs"